Patrick founded eds America, LLC as a vehicle to help solve what he saw as “gaps” in economic development in urban, suburban and rural communities. Patrick creates a collaborative effort to maximize these opportunities for future development in these areas. Whether it be to develop, advise or represent, eds America is a vital leader in the forefront of economic development throughout America. Patrick’s background in commercial real estate includes disciplines focused in office, retail, industrial, and medical with an emphasis on municipal, state and federal government consulting for many of his clients. Primarily his services involve: development, build-to-suits, master planned developments, site selection, business incentives, land and building acquisitions and dispositions as well as negotiating leases within these disciplines. Patrick’s past experiences include: serving on U.S. Senator Richard Shelby’s Senate staff and was Deputy Finance Director on his U.S. Senate Re-election Campaign from 1995-1998 as well as Executive Director of the ALGOP Victory 1998 Committee. In 1992, Patrick served on the Presidential Inaugural Committee (PIC) for Bill Clinton and supported the Correspondence Department on the Presidential Transition team. 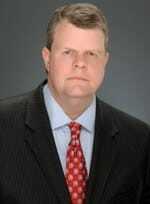 Prior to founding eds America, Patrick was Senior Vice President for Avison Young in Birmingham, Alabama. Previous to Avison Young, Patrick founded Dillon Corporate Services, Inc., in Birmingham, AL which at the time served as the Southeast Regional office for the company which was based in Dallas, TX. Ultimately, Dillon Corporate Services became Cresa and Patrick became the Managing Principal for Cresa Alabama. Cresa / Dillon Corporate Services, Dallas and Birmingham, was acquired by Avison Young in 2013. Married to Shannon McClure Denney, Owner/Artistic Director, The Pointe Dance Arts, Inc., and they have one beautiful daughter, Sara Madelyn Denney, and dogs named, Mo and Lola. Member, Delta Kappa Epsilon & Sports Chairman. Graduated, Mountain Brook High School and Varsity Basketball team.